Ateba, a Cameroonian who has worked as a journalist in Nigeria for over a decade, was arrested on Friday afternoon at the Minawao refugee camp and taken to Makolo in the far north of Cameroon and has been accused of spying for the Boko Haram insurgency group which is waging a Jihadist was in the north east Nigeria. He has spent two nights in detention. I was given my phone for five minutes to make some calls. Just spent my first night in Mokolo cell with two Nigerians who fled Boko Haram terrorist attacks between Gwoza and Maiduguri in a town or village called Sigesia. My first night in a cell in Cameroon far north was because I went to a refugee camp with about 50,000 Nigerians to do an independent reporting without them allowing me to do so. Atebe has already spent two days in detention since his arrest on August 28, 2015. He deserves his freedom. Early this year, I participated in a session that discussed Internet Trolling in the Global Voices Citizen Media Summit “The Open Internet: Local Perspectives, Global Rights” that held in Cebu, Philippines. It was fascinating that speaker after speaker derided trolls. It made sense considering the torture some have faced and continue to face from them. What is striking about the different renditions of trolling or trolls is that inherent intent to malign, disrupt and cause undue havoc. Thus it was only reasonable that expressions like ‘chock the trolls’ ‘don’t feed the trolls’, etc rolled out in that session in Cebu. However, can there be other portrayals of trolling that does not include this deliberate intention to destroy? Anyone who follows Twitter Nigeria will agree that it is a pool of boiling conversations – from the good, to the bad and to the damn ugly. While Twitter remains a loose architecture that restricts with its 140 character limit, Nigerians have evolved ways of having a thriving discussion despite these constrains. The streets of Nigeria’s Twitter are hot and harsh these days. The clash of the politico-twitterati on each side of the divide – opposition and the establishment – has been characterized with vile tweet-blood. Politico-Twitterati means those influential tweeps or overlords who are active partisan politicians. They differ from “political tweeps” (or political activists) who though they tweet on politics, owe no allegiance to any political party. The narrative as expounded by each side of the divide can be grouped into two: disruptive narration (by the opposition) and confutative narration (by the establishment). Many of us saw beyond the façade then that this bifurcated narration was essentially political – either to keep hold on power or to take hold of power. It had nothing to do with love of country or the much trumpeted patriotism. Besides, my ethnographic immersion as a participant-observer in Twitter Nigeria’s networked public sphere had made me more skeptical than ever. Truth is that nothing is what they seem, not only in Twitter but also in the country. Besides, social media in Nigeria is the public sphere for many whose only media is the social media. 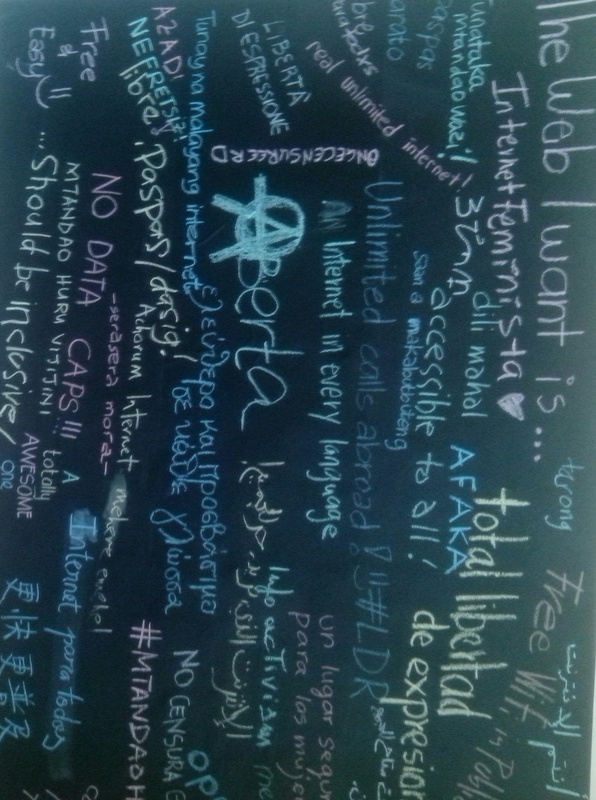 Unlike many digital immigrants, there is nothing ‘new’ in new media for digital natives. Ikenna Okonkwo (@FailedRift), a geologist, university lecturer, blogger and social media aficionado is the founder and pioneer Convener of Twitter Nigeria #TrollCabal. Okonkwo resigned this year and passed on the baton of leadership to your sincerely, Nwachukwu Egbunike (@feathersproject). This group’s aims are entirely non-confessional. #TrollCabal is made up of Nigerian tweeps from diverse ethnic nationalities, political leanings and cultural sympathies. The cabal has gradually swelled to admit so many tweeps who wanted a break from the bile that characterized conversations in TwitterNG. Later the group diversified into Sub Delivery Service (SDS) and Yardists. Essentially the #TrollCabal makes mockery of the drama that characterizes Nigeria political space. We also mimic the Twitter Overlords and their conversations. This takes off the heat, which often bothers on pure hate, from the Twitter’s space. In addition, it provides a counter narrative that is non-violent and at the same time humorous. Obviously the real impact of the #TrollCabal on the public conversation in Twitter will need a systematic unpacking by media scholars. However, the noon day clarity of the vibrancy of Nigerians on Twitter is one that needs no diviners peering. The #TrollCabal hopes to continue blazing the trail in this new conceptualization of Internet Trolling. For once these are trolls with no intention to disrupt, destroy or inflict undue pain. Join us today. We are the #TrollCabal! 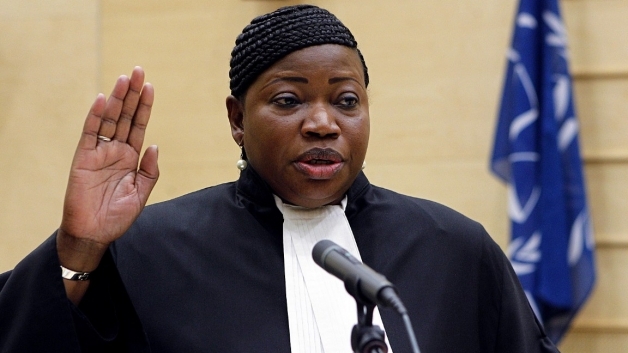 Gambian-born International Criminal Court Prosecutor, Fatou Bensouda, has delivered a stern warning to Nigerian politicians ahead of the 2015 General Elections. Nigeria will hold presidential elections on March 28, 2015. The major contenders are the incumbent, Dr Goodluck Jonathan of the Peoples Democratic Party and General Muhammadu Buhari of the All Progressive Congress. Already there is a palpable fear of post election violence in Africa’s most populous nation. Following my statement of the 2nd of February 2015, and my Office’s subsequent visit to Nigeria from the 3rd to the 5th of February, I reiterate my previous message. At a time when abhorrent levels of violence already plague parts of the country, I recall that the International Criminal Court (“ICC” or the “Court'”) has jurisdiction over Rome Statute crimes committed on the territory of Nigeria. Any person who incites or engages in acts of violence in the context of the upcoming elections or otherwise – including by ordering, inciting, encouraging or contributing to the commission of crimes that fall within ICC’s jurisdiction – is liable to prosecution; either by Nigerian Courts or by the ICC. No one should doubt my Office’s resolve to prosecute individuals responsible for the commission of ICC crimes, whenever necessary. Violence is not a solution. 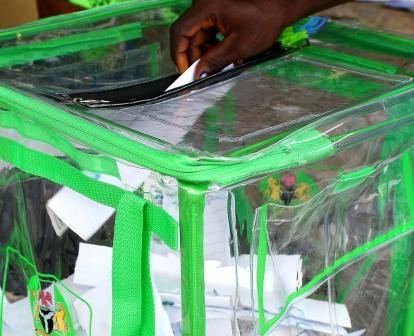 The conduct and outcome of elections in Nigeria, free from violence, will not only prevent further instability in the country, but will also send a clear message that electoral competition does not have to result in violence and crimes that shock the conscience of humanity. Nigeria Twitter has been boiling for some months now. As the general elections in February draws nearer, campaigns are nearing a crescendo. Currently, there exists a vicious bifurcation between the supporters of the ruling party, PDP and the opposition party, APC. The lies, blackmails, accusations and counter accusations between both sides have assumed epic proportions. In view of the above, I have decided to sit firmly on the fence. The shouting match on whose presidential candidate is better than the other is all one hears on Twitter these days. Unfortunately, this ‘my candidate better pass your candidate’ has spiraled into mudslinging that will certainly embarrass professionals Motor Park touts. Rarely are issues discussed. When they come up it is usually pursued via the argumentum ad hominem pathway. More often than not, one notices so many ‘logical fallacies’. Some folks have patented the franchise of making unsubstantiated opinions which they present as equivocal ‘facts’. 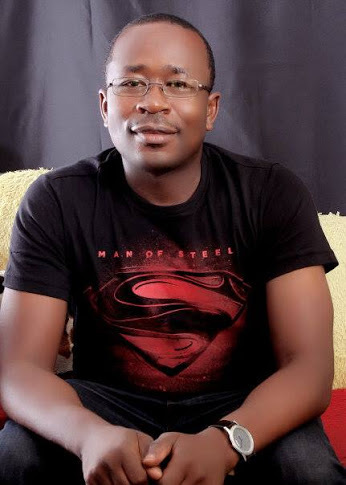 I do not begrudge those who have taken sides, firmly dug into their respective trenches as supporters of either President Goodluck Ebele Jonathan (GEJ) or General Muhammadu Buhari (GMB). As a matter of fact, I respect them, for it is no mean feat to consistently stand behind a candidate on TwitterNG streets. It matters nothing if these e-supporters are hired for their services or do so purely out of ‘patriotic’ zeal. It is their choice and I respect their freedom of association. Nonetheless, I will not be persuaded into joining the fray, a simplistic reduction of the presidential candidates or their parties as the ‘messiah’. Nigeria is so large and complicated to be reduced to a one man or woman having the key to reset all our woes. As a matter of fact, no single person – living or dead – holds the exclusive prescription to our national malaise. I also hope that the fanatic supporters of both candidates on TwitterNG will be civil enough to respect my decision to remain on the fence. It’s my choice and I don’t see why it is so difficult to accept ‘fencism’ as a legitimate position. But some folks have already ascribed divine omnipotence to themselves: that ability to read minds and to question the free decision of others. For some, a ‘fenceist’ is a traitor that sits idle while Nigeria burns. The only ‘legitimate’ freedom, according to them, consists in taking a stand for or against. It must either be for or against GEJ or GMB. Odiegwu! It does not stop there; you MUST profess the credo of your support all day long on Twitter. However, I am yet to see how their vicious rants and tweet fights translate into patriotism. But that is a story for another day. Fencism is not neutralism! I have my political bias but I will not be bullied into displaying it on Twitter. Fencism is objectivity, realizing that both candidates have their flaws and not turning a blind eye – as many do – on them. Fencism is having the courage to tweet for and against any of the candidates. Not being held under the fanatical slavery of ‘my candidate better pass your candidate’. Fencism also means that I will vote on that day but will not waste my precious time only tweeting about the elections. In my ‘yard’ the fence is sturdy and impermeable. The space on the fence also has an infinite coefficient of expansion. You are free not to accept my fencism, no big deal but at least respect it. 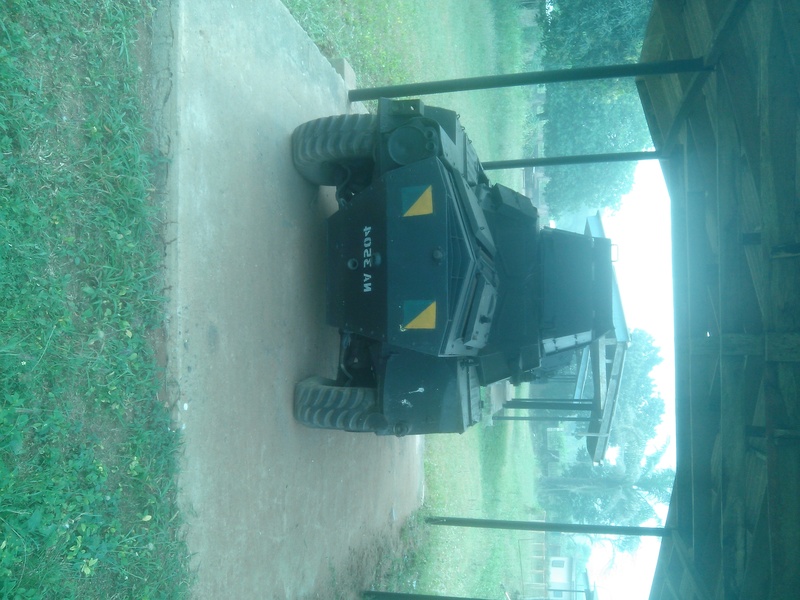 This week I visited the National War Museum (NWM) in Umuahia. I will try in this short post to present some of my impressions about NWM. 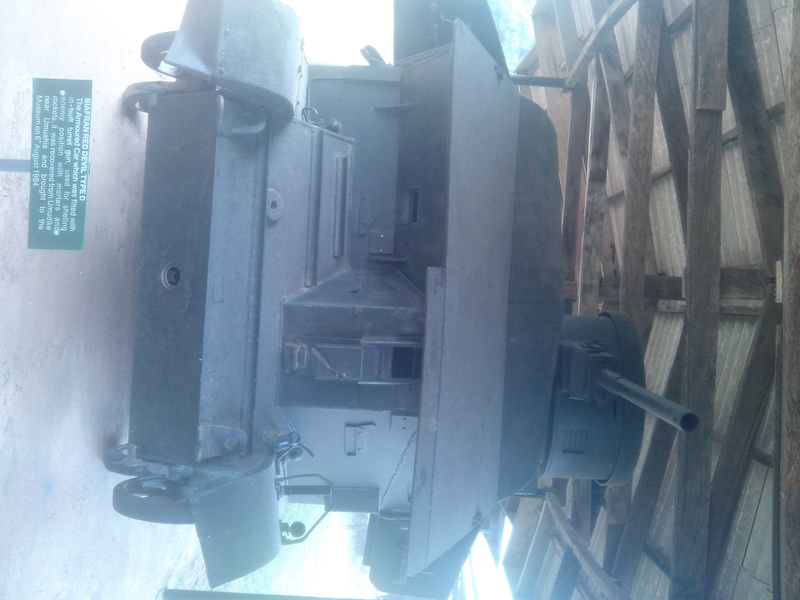 NWM was opened to the public on January 5, 1985 by Major General Tunde Idiagbon. 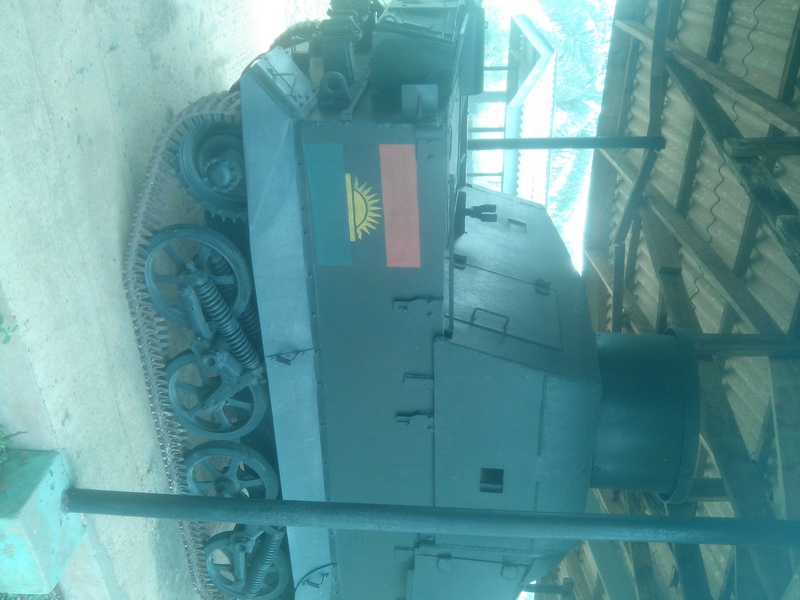 The sites where the museums currently stands was chosen by the Federal Government of Nigeria due to two well-preserved bunkers – the Ojukwu bunker and the Voice of Biafria (VOB) bunker. 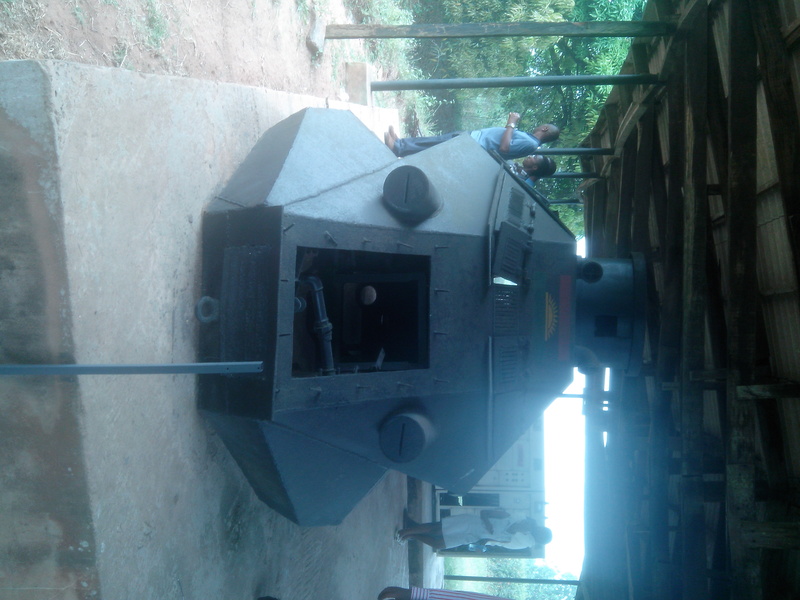 I was only privileged to visit the Voice of Biafria bunker. VOB was used by the defunct Biafria to broadcast to the entire country from Umuahia, while it claimed to be broadcasting from Awka. 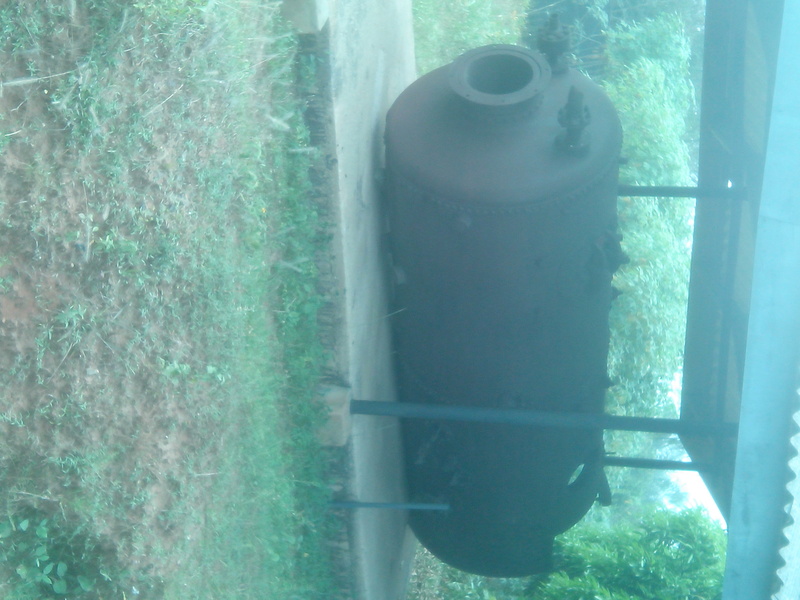 The Ojukwu bunker is currently situated at the house of Late Michael Okpara – who donated it to the Biafrian government. However, it is now a National museum under the administration of the National Museums and Monuments. 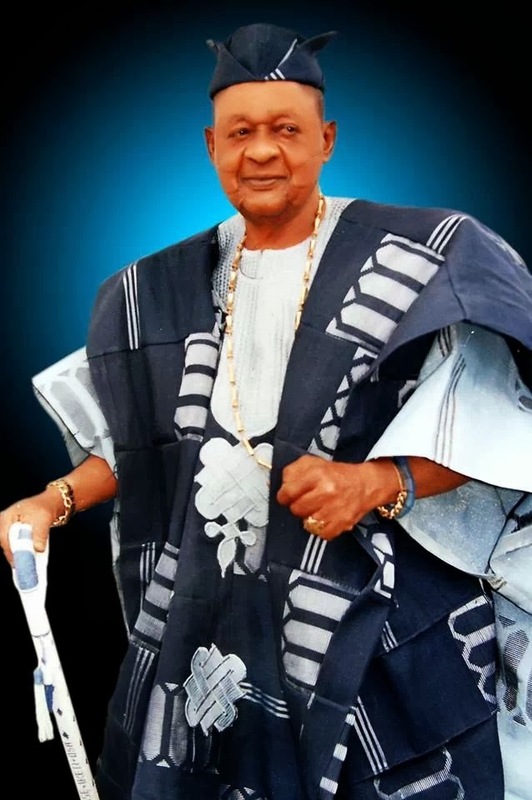 At the apex of the administration of the government was the king who was known as Alaafin. He was usually referred to by his subjects as Kabiesi – Alaseikeji Orisa meaning one who no one dare questioned – authority next to the gods. Despite this divine tag, the Alaafins were not autocratic. 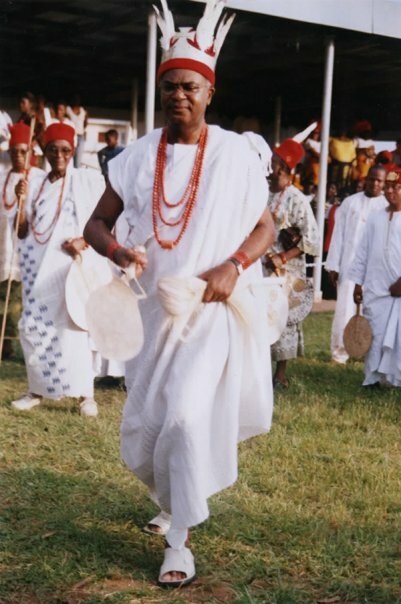 This was because their position and activities as king was checked by some council of chiefs known as the Oyomessi. The principle of checks and balances is not alien to African culture and tradition. Available historical evidences abound on societies in Nigeria that had maintained a sophisticated government with the adherent pecks of principle of checks and balances before the emergence of the colonial era. Ignorance and insolence (or both), that must be responsible for the much trumpeted ‘homegrown democracy’ by Nigerian politicians. Most times these politicians give impression that Africans are modeled to be tyrants. History shows that we are no strangers to checks and balances; it is ingrained in our political-social system of governance. Now the question; are these measures still alive in African societies? Do African societies still have some measures they respect and that makes them accountable, just and fair in administering their people and society? Is it a “taboo” if we go back to the root and revive some measures which are part of our culture and tradition that can bring development to our societies in Nigeria and Africa at large? Let us go back to the roots, by peering at the system of government of some societies in Yoruba-land. Historically speaking, old Oyo Empire grew to be the dominant power and a wealthy kingdom among other kingdoms in the Yoruba-land in the 16th century. The principal factor that made Oyo supreme was its centralized system of government. One of its paramount features was the “principle of checks and balances”. This made old Oyo empire to be referred to in history as one of the centers of African civilization in the 15th and 16th century A.D.
At the apex of the administration of the government was the king who was known as Alaafin. He was usually referred to by his subjects as Kabiesi –Alaseikeji Orisa meaning one who no one dare questioned – authority next to the gods. This impression given to the king by his subjects made the position of the king divinely. Despite this divine tag, the Alaafins were not autocratic. This was because their position and activities as king was checked by some council of chiefs known as the Oyomessi. The Oyomessi were saddled with the responsibility of enthroning a king after the demise of the incumbent and also, dethroning any king that was not responsible and violated the regulations attached to his position as king of empire. Also the Oyomessi had the authority to dethrone any king that reneges on the being of his sovereignty which included peaceful co-existence in his realm and defending the empire from within and without. Any breech in these sacred functions by the Alaafin signifies the beginning of the end of his reign. The Oyomessi dethroned the kings by sending an empty calabash to the king, with some incantation that “the people reject you, the earth reject you.” On receipt of this gift, the king is expected to commit suicide. This was the case of Alaafin Odarawu and Alaafin Jayin in the 17th century when they violated the regulations attached to their positions as kings. They took their rejection mildly and committed suicide. The council of the Oyomessi was headed by Bashorun. The Oyomessi on the other hand were not unchecked or arbitrary. They dethrone kings based on concrete reasons and were no slave to whims. They had too as their heads could be called for by a council of chiefs known as Ogboni. 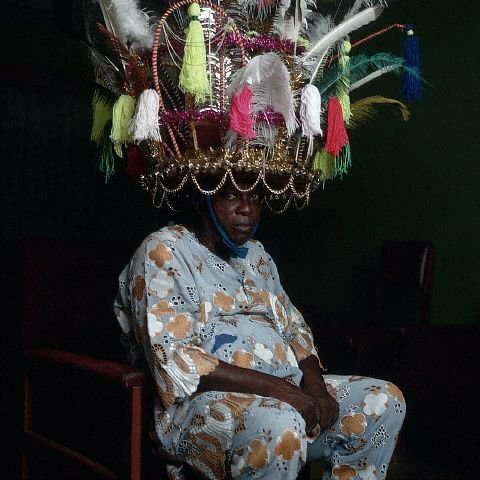 The Ogboni was a cult saddled with the responsibility of performing rituals to the gods and checking the activities of the Oyomessi. 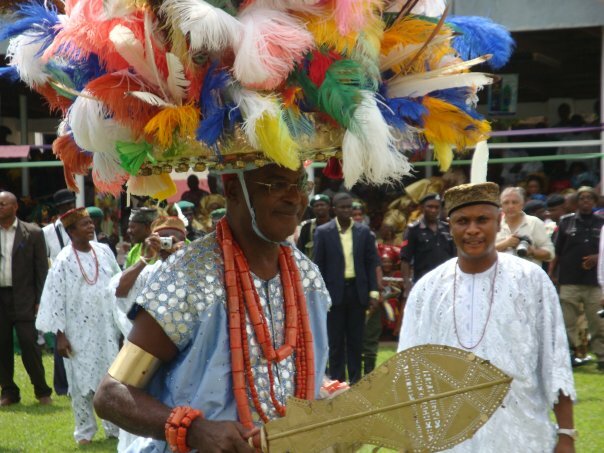 If the Oyomessis erred, they were sanctioned by the council of the Ogbonis. In this view, the Ogboni served as a watchdog to the Oyomessi. As a result of the strong measure of checks and balances that was present in the system of government of Old Oyo empire made the activities of the people in governing council to be just and fair which brought development of the kingdom and made it grew large to become an empire and a dominant power in the Yoruba land in 17th century A.D.
With the knowledge of the role the principle of checks and balances played in the development and growth of Old Oyo Empire, why can we not learn from history? Why can’t we go back to the root and revive some dead principles that brought growth and development to our societies in the past? This principle served as a watchdog that checked the activities of the people in the governing council of these societies. 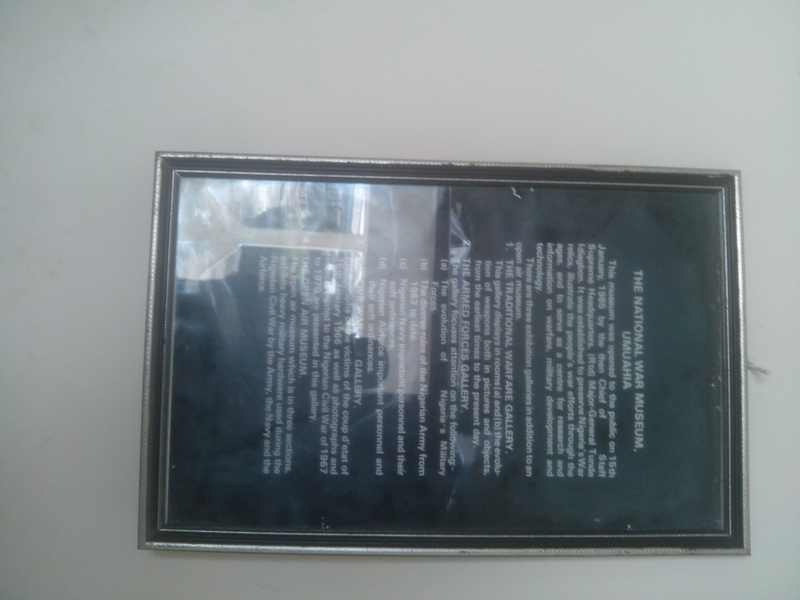 People in the governing council been aware of this measure and the penalty they will face if they violate the regulations attached to their positions as members of governing council made them to be just, fair, and accountable to their subjects and also engaged in any activities that will bring satisfaction to the interest of their subjects. Taking a cursory look at the situation of leadership and act of governance in Africa and Nigeria to be specific, could it be said that there are measures that check the activities of our leaders in Nigeria? The absence of institutional lids on governance in our democracy is certainly unAfrican. Never has power revolved around one person or a group of vested interest. Who are the ‘Bashoruns’ in our government today? Who are the ‘Oyomessi’? Who plays the role of ‘Oluwo’ in the process of checks and balances in our government today? If Nigeria will be a nation bound with freedom peace and unity as postulated by our past heroes, if we do not want the labour of our past heroes to be in vain, then we need to go back to the root, we need to revive our past and learn from history.